Calle Unión No. 17, Centro, San Jerónimo Tlacochahuaya, Oax.. 70460. 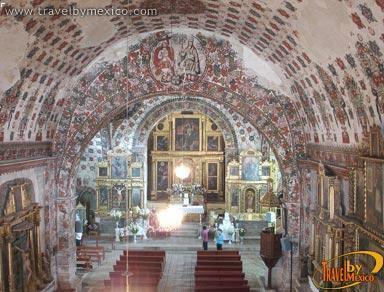 San Jeronimo Tlacochahuaya was established by the Cochicahuala warrior -he who fights in the night-. 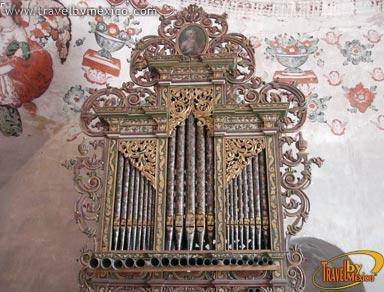 The church was first delivered as a commissioned temple, but then it was moved over to the hands of the Crown. 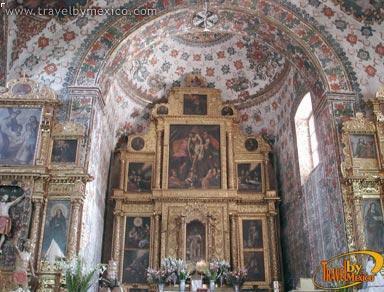 The temple and monastery were built in the mid-16th century by Dominican friars. 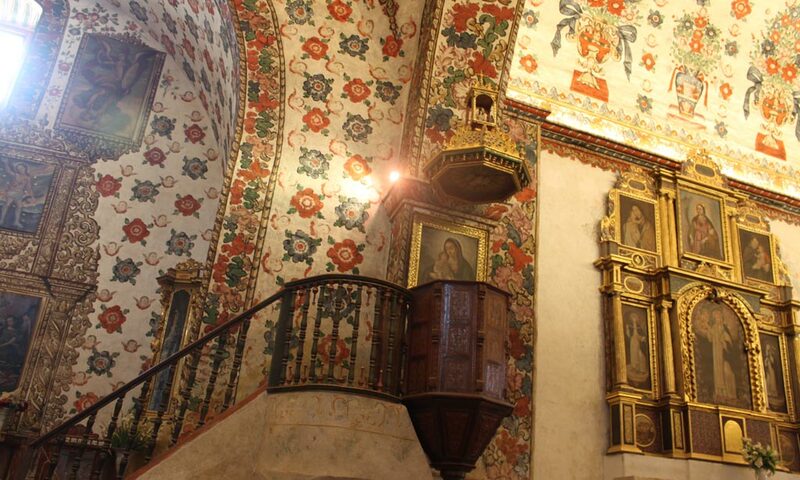 Its protector, Fray Jordan of Santa Catalina, imagined it as a house for observation, where the Dominicans could safeguard the law for the sanctification of the soul. For this reason came its simple construction, somewhat dark, with low and narrow dark cells and secluded from the actual road, away from worldly temptations (in imitation of the early Christian hermits who preferred to live in caves and caverns). 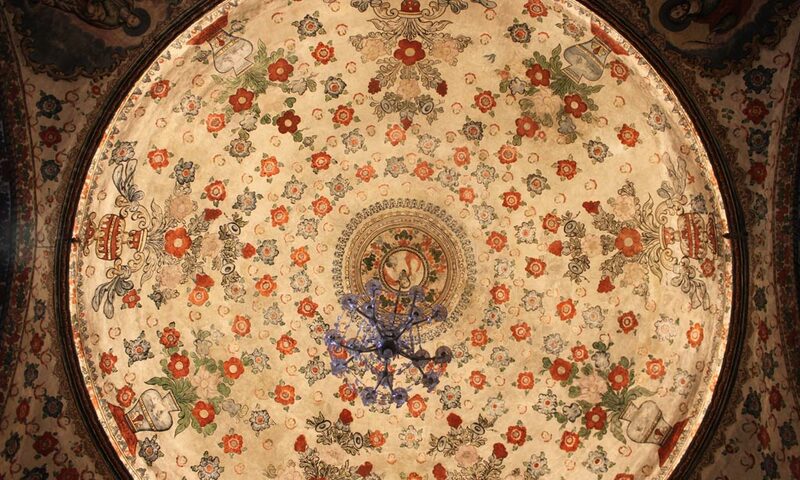 In the early 17th century the foundation of a new convent was began but was never finished. 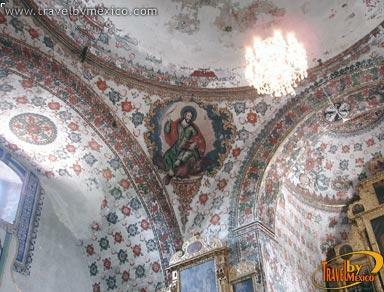 The internal decoration as well as the facade is original art from indigenous artists. 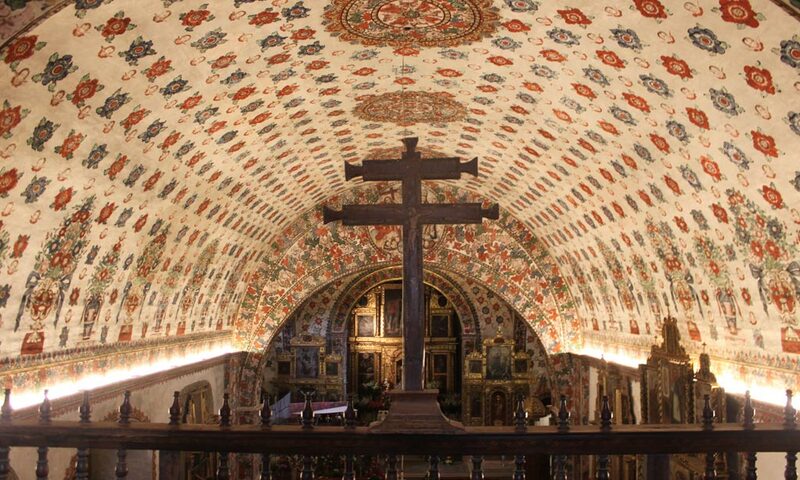 It was kept in the custody of San Jeronimo "crest of penance and pattern of an eremitical life." 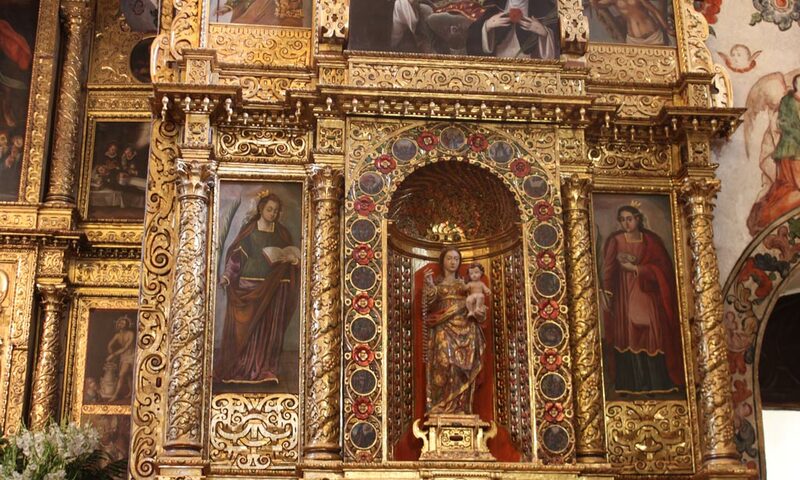 Most noteworthy are the altars in Plateresque style with images of La Virgen del Rosario, the Descent, Mary and the Child, and the Archangel Gabriel. 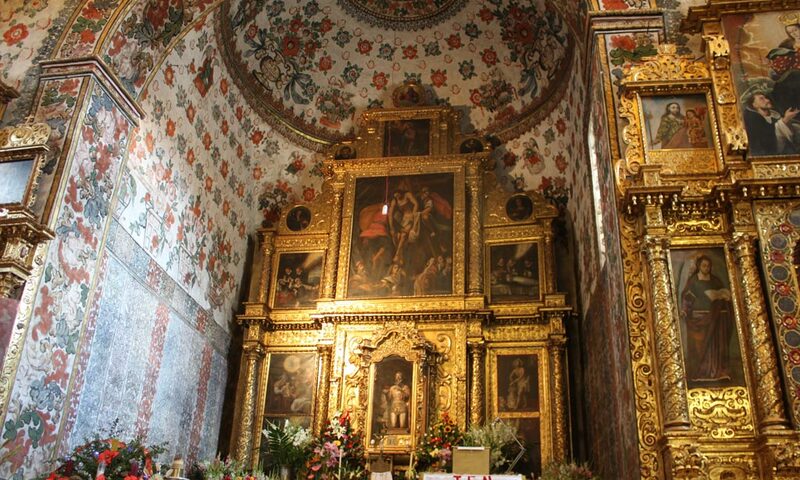 One of the most beautiful paintings in the church is the one of St. Jerome, by indigenous painter Juan de Arrúe, which is said to be his most celebrated work. 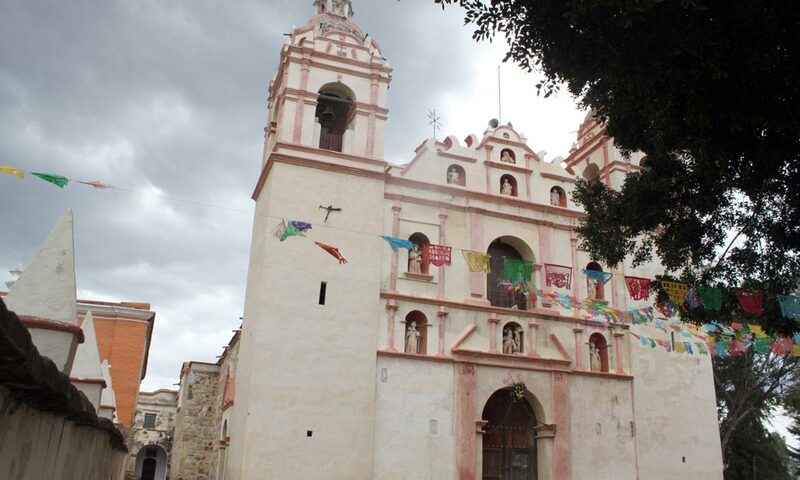 San Jeronimo Tlacochahuaya is located in the Central Valleys region, about 25 km (16 mi) from Oaxaca City. Its climate is temperate through almost the entire year. 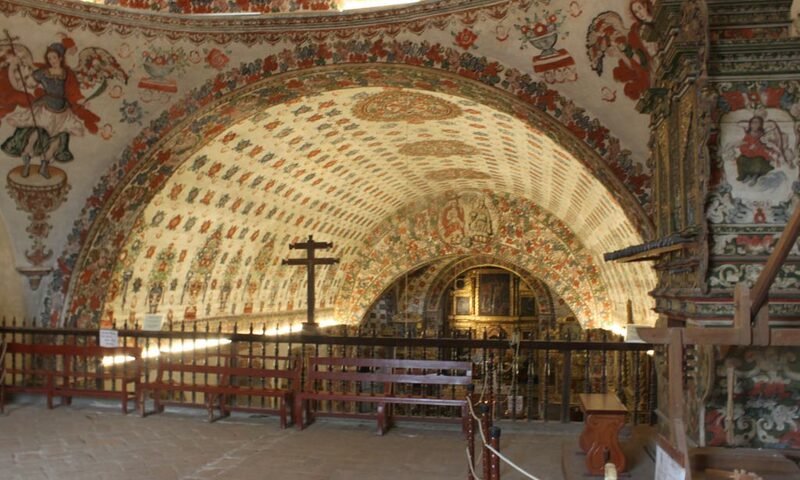 It is most recommended to visit in the end of September, and the beginning of October when the Festival of the Patron Saint of St Jerome is celebrated.